The perfect compact hot tub for relaxing, the Mars 3 person hot tub in the MyLine range from supplier Wellis offers a range of features, including a built in sound system and double speed pump and is available to buy from Bay Spas in Devon. 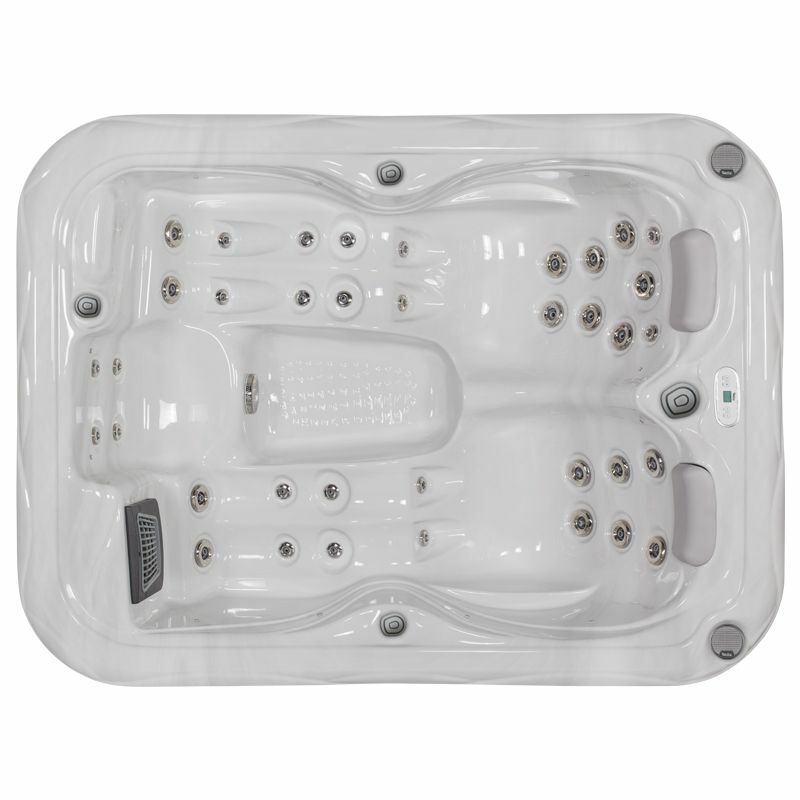 Set at a fantastic price for a quality hot tub that comes with a warranty, the Mars is ideal for those looking for a compact hot tub that has 2 lounge seats, perfect for relaxing in with a full 37 jets. The Mars hot tub comes with optional extras such as a Smartphone App that has a Wifi connection and a standard double speed pump. It will really appeal to our customers that want a hot tub to relax in, want a compact size and high quality construction that is a best seller within the price range. The Mars in the MyLine range is available in sterling silver and pearl white colours and comes with wood textured side panels.